In this Nov. 15, 2016 file photo, Brad Parscale, who was the Trump campaign's digital director, waits for an elevator at Trump Tower in New York. President Donald Trump has named former digital adviser Brad Parscale as campaign manager of his 2020 re-election campaign. A company run by former officials at Cambridge Analytica, the political consulting firm brought down by a scandal over how it obtained Facebook users’ private data, has quietly been working for President Donald Trump’s 2020 re-election effort, The Associated Press has learned. The AP confirmed that at least four former Cambridge Analytica employees are affiliated with Data Propria, a new company specializing in voter and consumer targeting work similar to Cambridge Analytica’s efforts before its collapse. A company run by former officials at Cambridge Analytica, the political consulting firm brought down by a scandal over how it obtained Facebook users' private data, has quietly been working for President Donald Trump's 2020 re-election effort, The Associated Press has learned. The AP confirmed that at least four former Cambridge Analytica employees are affiliated with Data Propria, a new company specializing in voter and consumer targeting work similar to Cambridge Analytica's efforts before its collapse. The company's former head of product, Matt Oczkowski, leads the new firm, which also includes Cambridge Analytica's former chief data scientist. Oczkowski denied a link to the Trump campaign, but acknowledged that his new firm has agreed to do 2018 campaign work for the Republican National Committee. Oczkowski led the Cambridge Analytica data team which worked on Trump's successful 2016 campaign. The AP learned of Data Propria's role in Trump's re-election effort as a result of conversations held with political contacts and prospective clients in recent weeks by Oczkowski. In one such conversation, which took place in a public place and was overheard by two AP reporters, Oczkowski said he and and Trump's 2020 campaign manager, Brad Parscale, were "doing the president's work for 2020." Facebook shares tumbled Monday following reports that user data had been inappropriately obtained. Cambridge Analytica, whose clients included Donald Trump's presidential campaign, reportedly used the data of 50 million Facebook users without their permission. In addition, a person familiar with Data Propria's Washington efforts, who spoke on condition of anonymity to protect business relationships, confirmed to the AP that Trump-related 2020 work already had begun at the firm along the lines of Cambridge Analytica's 2016 work. Both Oczkowski and Parscale told the AP that no Trump re-election work by Data Propria was even planned, but confirmed that Parscale had helped Data Propria line up a successful bid on 2018 midterm polling-related work for the RNC, awarded earlier this week. Oczkowski called the contract modest. Oczkowski had previously told the AP the firm had no intention of seeking political clients. After being informed the AP had overheard him directly discussing campaign work, he said his young company had changed course and that whatever he'd said about the 2020 campaign would have been speculative. 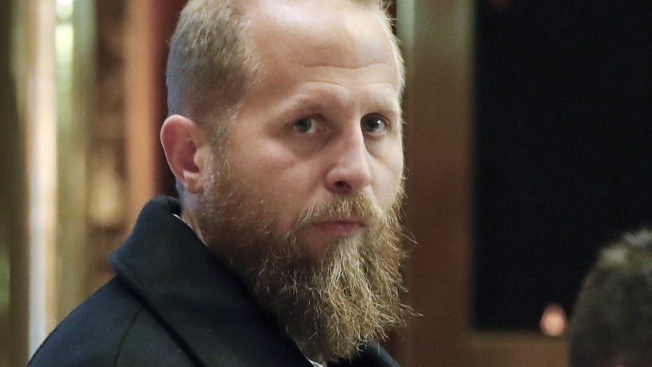 "I'm obviously open to any work that would become available," Oczkowski said, noting that he and Parscale had worked together closely during Trump's 2016 campaign. Parscale told the AP that he has not even begun awarding contracts for the 2020 campaign, which he was appointed to manage in March. "I am laser-focused on the 2018 midterms and holding the House and increasing our seats in the Senate," he said. "Once we do those things, I'll start working on re-electing President Trump." Sens. 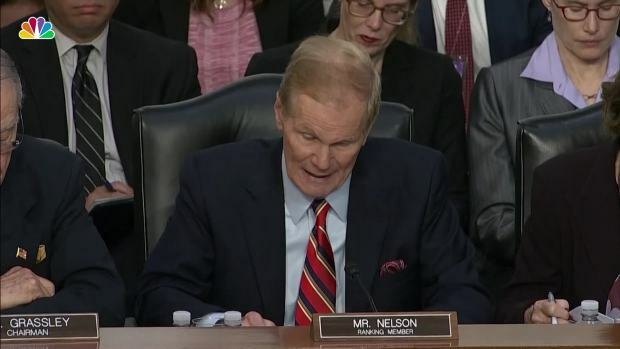 Bill Nelson and John Thune questioned Facebook CEO Mark Zuckerberg about why the social media platform did not inform more than 87 million users that their data had been harvested when a breach was detected. London-based Cambridge Analytica was accused of playing a key role in the 2014 breach of 87 million Facebook users' personal data. The company said it did not use the information for Trump's 2016 campaign, but some former employees have disputed that. Facebook CEO Mark Zuckerberg has said that it was "entirely possible" the social media data ended up being used in Russian propaganda efforts. In May, Cambridge Analytica filed for bankruptcy and said it was "ceasing all operations." A British investigation of Cambridge Analytica and its parent company will continue despite the shutdown, the U.K.s Information Commissioner's office said last month. The description of Data Propria's efforts overheard by the AP reporters tracks closely with the services Cambridge Analytica provided to both commercial clients and Trump's 2016 campaign, including profiling voters based on data about them in a process known as "psychography." The technique classifies people according to their attitudes, aspirations and other psychological criteria to tailor advertisements or marketing strategies. Oczkowski told the AP that three of the people on Data Propria's 10-person team are Cambridge Analytica alumni, but said they were focused on campaign operations and data analysis — not behavioral psychology. Data Propria is "not going down the psychometrics side of things," he said. Among the former Cambridge Analytica employees is David Wilkinson, a British citizen who was the company's lead data scientist. During the 2016 campaign, Wilkinson helped oversee the voter data modeling that informed Trump's focus on the Rust Belt, according to a Cambridge Analytica press release issued after the election. 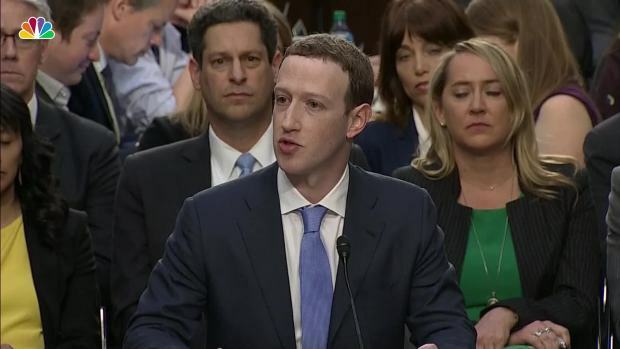 Facebook CEO Mark Zuckerberg appeared before Congress Tuesday to testify about user privacy and nefarious uses of the social media platform. 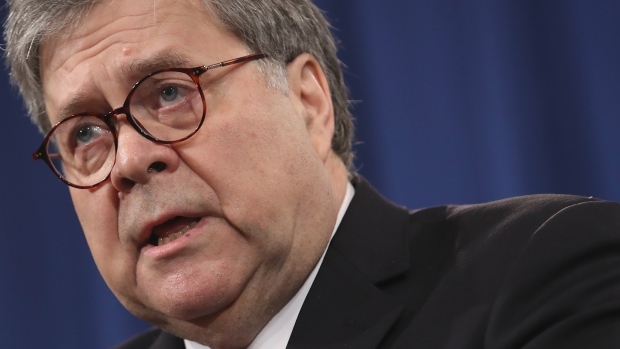 Federal election law bars foreign nationals from "directing, controlling or directly or indirectly participating in the decision-making process" of U.S. campaigns. The public advocacy group Common Cause filed a complaint with the FEC in March alleging that Cambridge Analytica's foreign employees broke that law, though the complaint did not name Wilkinson. Oczkowski told the AP that the London-based Wilkinson is a contractor and will not be involved in Data Propria's U.S. political work. Another issue raised by Data Propria's work on Trump's re-election effort is the firm's financial links to Parscale, Trump's campaign manager. Parscale is a part owner of Data Propria's parent company, a publicly traded firm called Cloud Commerce that bought his digital marketing business in August. Over the last year, Cloud Commerce has largely rebuilt itself around Parscale's former company, now rebranded Parscale Digital. Parscale sits on Cloud Commerce's board of directors and provides the company with the majority of its $2.9 million in revenue, according to the company's most recent Securities and Exchange Commission filing. By working with a Cloud Commerce subsidiary, the Trump campaign could be helping Parscale profit beyond his $15,000 monthly campaign retainer and the commissions he has been collecting on Trump's digital advertising spending. While Parscale's personal business still works for the campaign, it's unclear how that work may be changing now that he has become Trump's official campaign manager. Under one contract between Parscale and Cloud Commerce, he receives a 5 percent cut of every dollar collected by Parscale Digital — which is largely composed of the web marketing business Parscale sold to Cloud Commerce last year. In SEC filings, Cloud Commerce has estimated that Parscale's cut of those revenues, excluding pass through payments, would total between $850,000 and $1.3 million. Parscale Digital would not be directly receiving funds from the RNC or the campaign. Even though Parscale is not directly receiving money from Data Propria work, the firms provide each other with business and Data Propria's success would help Cloud Commerce pay off the money it owns Parscale. A second agreement obligates Cloud Commerce to pay Parscale $85,150 a month as part of its separate $1 million purchase of his former web-hosting business. Parscale earns another $3,000 per month from leasing computers and office furniture to Cloud Commerce. Trevor Potter, a Republican who once headed the Federal Election Commission and now leads the nonprofit Campaign Legal Center, said it was unusual for an incumbent president's campaign to direct large amounts of business to outside firms tied to his campaign manager. Such arrangements are more common for long-shot candidates in need of expertise, he said. "Top-notch candidates have bargaining power and are less likely to put up with that," Potter said. "It sounds like a very rich opportunity for Mr. Parscale, but that's really the candidate's call." Aside from the ties to Parscale, Cloud Commerce's parent company is an unusual candidate for blue chip political work. Founded in 1999, the firm has repeatedly changed its name and business model, and the company's most recent audit "expressed substantial doubt about our ability to continue as a going concern" without continuing infusions of cash. An AP investigation of Cloud Commerce in March found that a former CEO of its predecessor firm pleaded guilty to stock fraud in 2008 and remained active in Cloud Commerce's affairs until at least 2015. Cloud Commerce says the man has had no connection with its business since at least 2011. The AP also found discrepancies in the professional biography of current Cloud Commerce chief executive Andrew Van Noy, who has told investors that he worked for Morgan Stanley and was a private equity executive in the years immediately preceding his arrival at Cloud Commerce in 2011. Van Noy's August 2010 Utah bankruptcy filing conflicts with that portrayal, showing he spent most of the prior two and a half years unemployed. The filings also reveal that Van Noy had been accused of selling unlicensed securities and using $100,000 of an investor's money for personal purposes. "Luckily I have not had to go to the homeless shelter," Van Noy wrote to that investor in 2011 after the man asked what had happened to his investment. After the man sued for fraud, Van Noy agreed to pay him $105,000. A year later, he became president of Cloud Commerce. Associated Press writers Michael Biesecker, Juliet Linderman and Steve Peoples contributed to this reporting.